Healthy eating habits are easier to maintain when you start with them from day one. 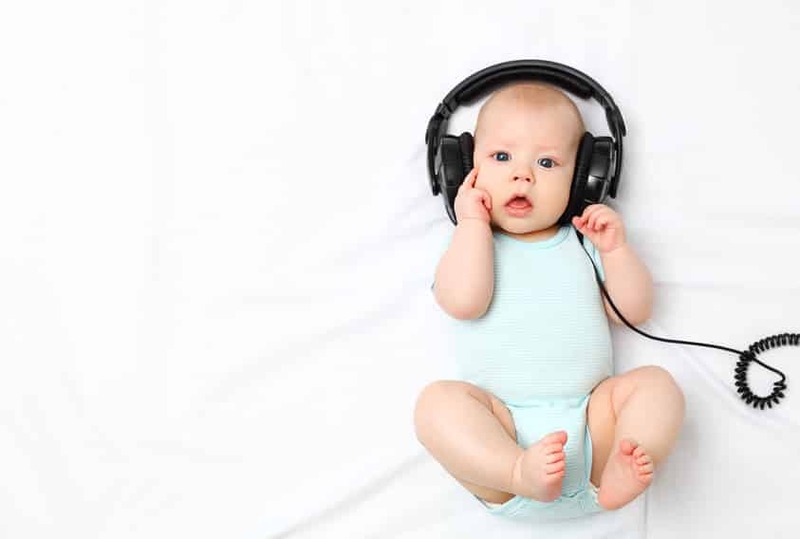 They can start as early as infancy and can be carried throughout a baby’s lifetime. Parents should begin from day one to reinforce healthy eating habits with their little one. Break the cycle of unhealthy feeding by enforcing healthy habits from the start. Below are four basic feeding habits new parents can start with their infants that will help to raise a generation of healthy eaters. Some adults and parents have a “finish your plate” mindset where no food gets wasted. Whether it’s breast milk you’ve worked so hard to pump, or infant formula, no parent wants to throw away good food. Generations of advice lead parents to want their babies to finish their bottle, but parents need to recognize when their infant is telling them that they’ve had enough to eat. This habit can override your infant’s hunger cues and results in overfeeding. Some signs of hunger include restlessness, sucking on fists or smacking lips. One tip for parents to avoid overfeeding is to pay attention to how much their infant generally eats during each feeding, and prepare bottles or freeze breast milk bags with just that amount. This amount will adjust as your infant grows. Preparing bottles in portions can reduce the risk of overfeeding or having to throw away an unfinished bottle. Do not to use leftovers for the next feeding, as it can be unsafe. Breast milk stored in smaller portions allows for parents to use portions without waste. 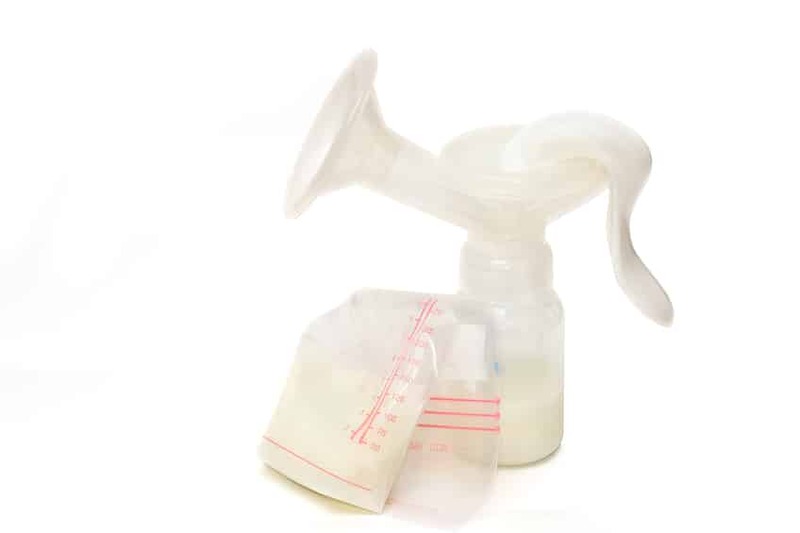 Once your milk supply is fully established, consider storing breast milk in 2 oz. portions so you can meet your baby’s needs easily. Freshly expressed breast milk stored in the refrigerator is safe to feed for 3-5 days, while any additional breast milk should be portioned out and frozen. How many times have you grabbed a treat to nibble on to make yourself feel better after a long day? Our infants have a clean slate, and we don’t want to encourage them to use food to soothe. As adults, when we experience stress or discomfort, food can serve quick fix. Some parents may enforce this same habit when it comes to a fussy infant and soothing them with food. But cries don’t always mean your infant is hungry. A hungry baby needs food, but a crying, upset baby may get more frustrated if a feeding is offered but isn’t needed. An infant’s need to be reassured and soothed can be frequent. Thankfully, rocking, snuggling, bouncing, or rubbing their back can often soothe and reassure a baby. If you are unsure that your baby is hungry, try one of these soothing techniques before turning to the breast or bottle. Be aware that sometimes crying does mean hunger, but it’s important to know the difference. A good night’s sleep is key to good health, and the same can be said for babies and sleeping through the night –a plus for mommy and daddy. Young infants typically feed every 2-3 hours. However, once the baby weighs approximately 11 pounds, they are able to eat enough that they can sleep for approximately 5-6 hours. At this point, parents should avoid waking sleeping infants for “scheduled feedings.” If a baby is eating well and sleeping though the night, don’t worry if they miss a feeding during the night. They’ll let you know when they’re hungry. Additionally, do not assume that all fussiness in the middle of the night is due to hunger. 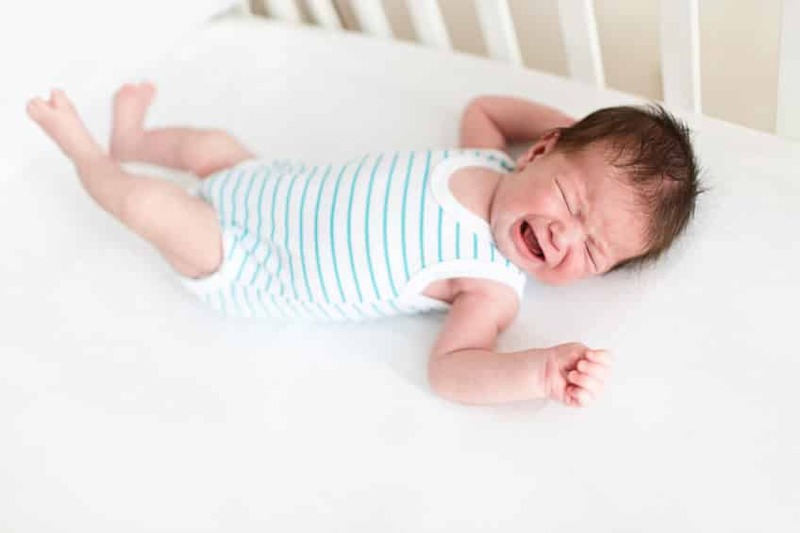 Once the babies are old enough to sleep through the night, parents should resist responding to any middle-of-the-night crying with feedings. Wait a few minutes before responding and try soothing techniques first as babies will often settle themselves. 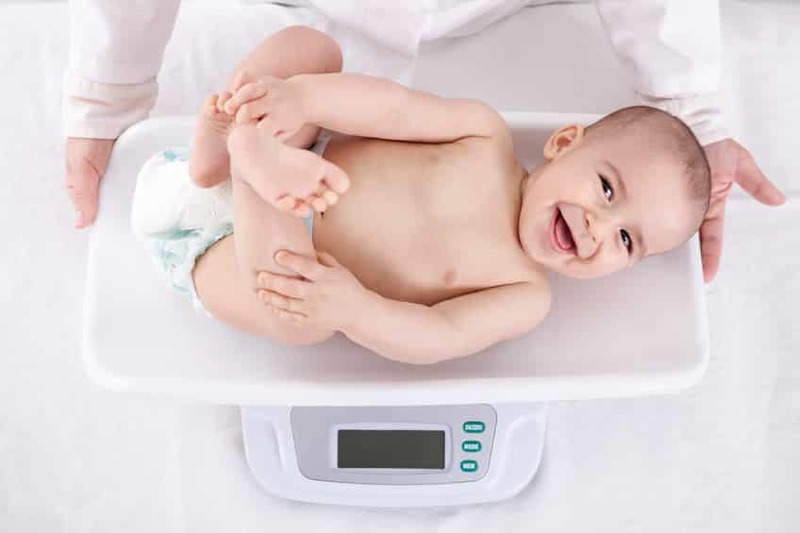 A weight checkup is the best way to monitor your infant’s growth. Within the first six months, your infant’s birth weight should double, and by year one, it should triple. The pediatrician may suggest you adjust their feeding routine if your baby’s height and weight are not tracking appropriately. Breastfeeding moms can’t physically see the number of ounces being consumed, so it can be unsettling because you can’t gauge exactly how much your infant is feeding. 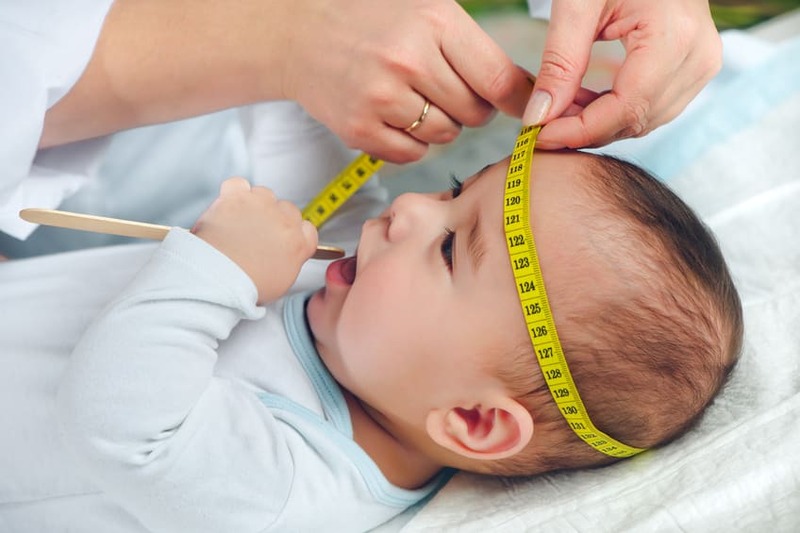 These weight checkups are a regular way to ensure your infant is getting the proper amount of food and nutrients for their growth and development. Babies can’t tell you when they’re full, so it’s up to parents to interpret those cues and recognize when their baby is satisfied. Here are three quick questions to help you determine if your baby has had enough to eat.